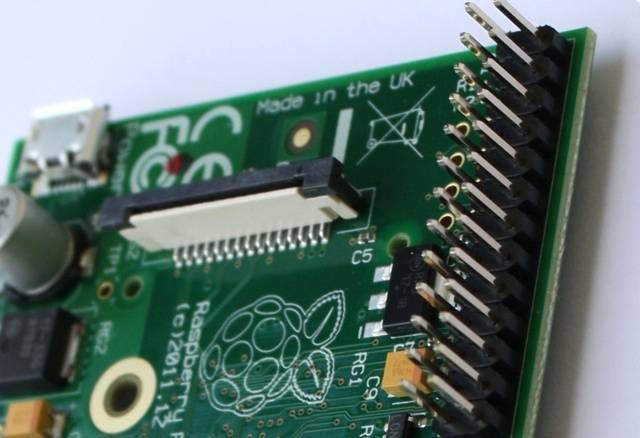 The Raspberry Pi is to be manufactured in the UK - possibly the first time a microcomputer has been produced here, as opposed to simply being assembled, for a number of decades. Production has begun in Sony's Pencoed, South Wales plant on behalf of the Raspberry Pi's sales partner, Element14/Premier Farnell. The initial contract will see the Pencoed plant producing 30,000 Revision 2.0 Raspberry Pis a month, creating around 30 new jobs in the process. RS, Raspberry Pi's other supplier, will continue to source hardware in China. Farnell, by the sounds of it, has Rev 1 China-sourced stocks to burn through too. Raspberry Pi founder Eben Upton originally wanted to source the Pi in Britain, the organisation says, but was "unable to find a British manufacturer whose prices per unit - especially at a point where we were thinking of sales in the tens of thousands, not the hundreds of thousands you’re seeing now - would work for us". Production duly went to the Far East. However, Upton was nonetheless keen to bring manufacturing back, and has spent the last five months or so establishing the deal between Sony and Premier Farnell. Sony has "already invested £50,000 in PoP - Package on Package, the fiddly stuff where the Broadcom chip at the heart of the Raspberry Pi is stacked beneath the Ram chip - hardware and expansion capability just for us", said the Raspberry Pi Foundation today. For the eco-minded, "they’re also able to take on the huge task - currently undertaken by RS and Farnell - of ensuring the parts used are sourced ethically and to the highest ecological standards. Every component has to pass standard compliance via Sony’s Green Management programme". "By bringing the production of a UK product back into the country alongside its development and distribution, we can help support our economy and demonstrate the capabilities the UK has in terms of technological innovation, invention, and manufacturing," said Upton.